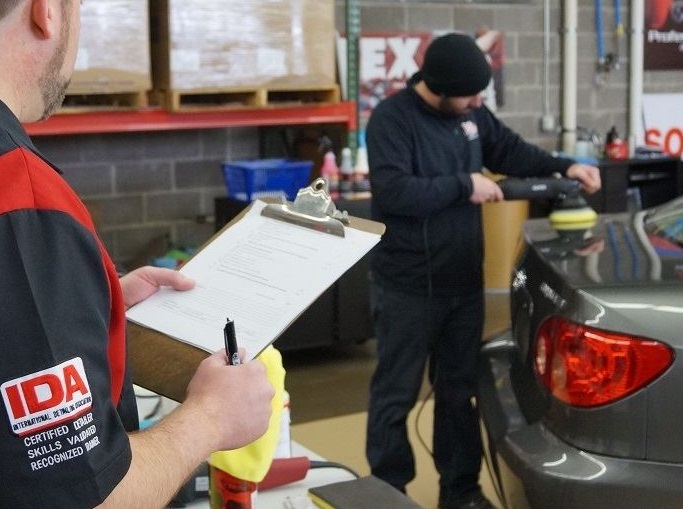 Why is it Important to Hire a Professional Detailer? This is a question that drives me insane. Not just in detailing but in other industries as well. Why hire a professional roofer or plumber? Why would you hire a professional web designer for your business? Why hire a professional lawyer? Why hire a professional photographer for your wedding? …and the list goes on. 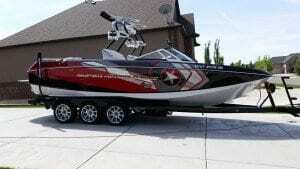 Years ago, I had a customer call us and he was requesting a full detail for his $85,000+ boat. He asked some questions regarding the services we offer. I asked some questions back to clarify exactly what he was wanting done. Then he brought up pricing. As soon as I gave him a ballpark cost he acted shocked. There was a bit of an awkward pause and then he asked me, “What’s the difference between you guys and the kid down the street I can have do it for $8 an hour?”. Ugh… I wanted to hang up on him… I politely explained that we were professional detailers. Have all the proper licensing and insurance. Are in compliance with all regulations and laws. Have the proper training and skill level. Have the knowledge of the why’s and how to’s of detailing. Use professional grade products and equipment. Have the knowledge of the proper use of each chemical. Have experience with many different kinds of boats. Do this to make a living. We support our families via detailing. Are serious about what we are doing and we won’t cut corners. Are members of the International Detailing Association. We could provide him with a great experience and he would be rest assured his boat would be taken care of and detailed with the proper chemicals and equipment and not have any issues down the road. Also if an injury were to occur on the job, he would not be liable. With “a kid down the street” as he put it he would not be guaranteed anything and he would not know what kind of products this kid used on his boat. He may have used dish soap and furniture polish which would surely cause damage in the long term. He for sure would not have the proper tools to clean and protect the boat. He could potentially expose himself to a lawsuit if the “kid” was injured or exposed to a chemical. If you go to a fast food chain and order a hamburger you can pay as little as one dollar. When you get a burger and pay one dollar you can’t expect much but you know what you’re paying for and you know what you’ll get. You are not getting the most fresh ingredients. You are not getting the healthiest ingredients. The meat is not the most pure. The the flavor will be plain. These kind of restaurants cannot provide a better burger because they do not have the right ingredients or equipment to make something of more value. Let’s contrast that to a gourmet burger from a high end restaurant. You will pay much more but you will also get much more. The smell, flavor and even the service you receive will be absolutely better. The burger will be exactly how you ordered it. A mouth watering, extremely satisfying experience. These restaurants have invested in the proper ingredients, equipment and training of their employees, as well as hired the best chefs to give you this experience. You really can’t compare the two kinds of burgers. Now I realize there are many kinds of burgers that vary between the two, but you get the point. Hiring a pro is like paying for a better burger while hiring the cheap guy from down the street is like picking off a very limited dollar menu. The bottom line is we hire professionals for services because they have the training, certification(s), licensing, insurance, experience and know how to give you what you want. A professional also makes a living doing what they do and more than not they enjoy what they do and take pride in their work. Next time you consider the true value in hiring a professional detailer, remember these things and ask the right questions when looking to hire someone who claims to be a professional. Let me give you some praise on this article. This is exactly why you should hire pros for anything you need. I have an online business. I have read many articles on the topic of professional detailing but this post is truly a nice piece of writing, keep it up. How can you truly find out if someone is professional like they say? Yes! Professional work is not cheap and cheap work is not professional. You can see as the consumer you might save money in the short run but pay for it in the long term when hiring a non-pro. You get what you pay for. Always hire a pro. A real professional, not just a guy who says he is. My friend hired some guy to do some work because it was way cheaper than the shop and the dude went joy riding in her car and wreck it. No insurance and she still has no car. She is going to have to file a lawsuit but the guy probably has nothing anyway. She got major screwed. These are the reasons you probably should not hire a person who does not even have a legit website. And if you’re hiring for a big project make sure you get licensing and insurance verification forms and not just take their word for it.